The City National Rochdale Select Strategies Fund (CNRLX), an industry loss warranty (ILW) focused mutual insurance-linked securities (ILS) investment fund, managed a 6.6% annual return in the year to Jan 31st 2019, while its assets under management increased in the last quarter as well. Given the focus of the City National Rochdale Select Strategies Fund ($CNRLX) ILW focused reinsurance and retrocession investment strategy on peak peril and regional U.S. ILW contract investments, facilitated by accessing the risk through the portfolio of the Neuberger Berman ILS management team’s NB Re Ltd. vehicle (the renamed Iris Re), this fund managed to avoid much impact from the 2018 catastrophe events. When we last reported on the City National Rochdale mutual ILS fund it had reported net assets valued at $47.4 million as of October 31st 2018. The fund grew around the January reinsurance renewals, when fresh capital will have been deployed into new ILW contract investments. As of January 31st 2019, the end of its financial year, the total value of the investments in the ILW fund, had risen by over 11% to roughly $52.7 million. The actual net assets under management of the fund are even higher, reported at just over $62.4 million, given the fund had a reported $7.28 million of cash on hand and another almost $3 million of receivables from shares sold at the time of reporting. That cash and receivables will likely have been put to work since then in new investments into segregated cells of the NB Re Ltd. vehicle. Total net assets under management of the fund were just $50.54 million as of the end of October 2018. So since that time the overall assets of this ILW investment strategy had risen by almost 23.5%. The CNR ILW fund appears to have been able to avoid losses from the two largest events of 2018, the California wildfires and typhoon Jebi. Although, as we explained yesterday, the ongoing loss creep from typhoon Jebi is now set to trigger some ILW coverage. However we do not know whether the fund has any exposure to such positions, as while it does have some exposure to Japan wind positions we do not know the trigger points. Despite these loss impacts, the 6.6% annual return is an attractive figure for any reinsurance linked investment strategy in 2018, demonstrating the ability of industry-loss warranty (ILW) focused investments to drive investor value and returns. The portfolio managers note that the fund outperformed the broader catastrophe bond market as measured by the Swiss Re Index, it too invests in some cat bonds but they are a much smaller part of its portfolio than the ILW’s it predominantly focuses on and are largely there for liquidity purposes we’d imagine. The managers say this is because the CNR ILW focused strategy is “more of an “alpha” play (limited geographic exposures/triggers) in the space,” compared to the more beta-like cat bond only investment Index that it compares itself to. “In more active years, where many loss events take place (such as 2018), we feel CNRLX should outperform the index,” the managers explained. The fund’s managers appear bullish about the future prospects for the ILW market, given the relative lack of capacity targeting these deals at the moment. “Current market dynamics have created a compelling set of opportunities for the Fund,” they explained. We heard similar sentiment from other market sources yesterday, while discussing the current dynamics in the ILW market, as we’re told that ILW portfolios right now have the best return potential of any since around 2012 thanks to higher pricing. The managers of the CNR Select Strategies fund attribute their 2018 success to the fund’s “regionally focused ILW exposure in the United States” which they say helped them to avoid the worst of the losses. Of course, some of this comes down to an element of good fortune, as well as the risk selection by Neuberger Berman and the CNR portfolio managers, and there is still the possibility of typhoon Jebi exposure to emerge for the fund should any of its ILS investments be triggered by the rising estimates there. But overall, it seems the market opportunity in ILW investments across the reinsurance and retrocession space is currently very healthy. Particularly so as indicative ILW rates are up in advance of the next renewals. 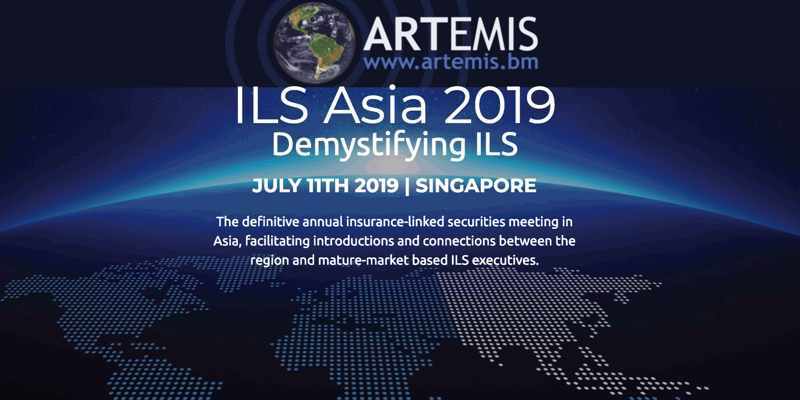 Especially so if there is a lack of available capacity for this risk, as that means rates may stay firmer for longer given ILW’s play an important role as a hedging tool for both traditional reinsurance players and ILS funds or collateralized vehicles.